Once a long time ago in old Ireland, there lived a very lazy farmer who was known for being very lazy and cunning. He was such a con-artist with such a slick tongue, that someone else always paid the drinking tab, so he became known as “Stingy Jack.” Since he never had to pay the bill, he drank a lot and became a raging drunk as well. One night, when Stingy Jack was stumbling down the road on his way to the Pub, he came upon a grinning corpse lying in the road. Despite being pretty much in his cups already, Jack knew what that meant. The Devil had come to claim him. So he agreed to go to Hell with the Devil, but first he begged, let’s go together for one more drink before we leave. Well the Devil—fond as he was of the brew as well–had heard so many stories about Jack’s cunning he thought what the hay, it couldn’t hurt, and might be fun as well. So off they went to the Pub where Jack proceeded to get very very drunk. When it was time to pay, Jack said to the Devil, Back there on the road you turned yourself into a grinning corpse. I hear you can turn yourself into anything you want. Can you turn yourself into a coin? The Devil, a bit of a braggart himself, couldn’t help showing off a bit, so he turned himself into a coin. Jack immediately snatched up the coin and thrust it into his pocket where he also kept his crucifix. Of course that meant the Devil no longer held the power, so when Jack bargained with him to spare his soul for ten more years, he agreed. Ten years passed quickly enough, and once again—almost to the day–Jack found himself staring at the Devil’s evil face. Once again he promised to go willingly, but only if the Devil would climb a nearby tree and pick him an apple, as he was now too old and frail to do it himself and didn’t want to die hungry. As soon as the Devil climbed into the tree’s branches, Jack quickly drew crucifixes all around the tree. Once again the Devil was trapped. This time, in bargaining for his freedom, the Devil promised Jack he would not take his soul to Hell when he died. Years later, when Jack finally died, he found himself before the gates of Heaven. But when the man at the gates checked the list, he found Jack’s name with a long list of dastardly deeds alongside it, so he was not allowed to enter. Since there’s only one other place he could turn, Jack made his way to Hell. When he got there, the Devil—true to his word not to take Jack’s soul when he died—wouldn’t let him in either. He was damned to roam earth’s darkness forever. So Jack called forth all his con-artist cunning, begging the Devil to help him. The Devil, still angry that Jack had tricked him—not just once but two times—grinned spitefully at Jack, then grabbed one of Hell’s embers and thrust it toward Jack. Jack caught the ember and placed it in a hollowed-out turnip to make himself a lantern. To this very day, every year on Halloween, Jack still roams the earth with his lantern looking for a place to live. Some people claim he dresses in costumes—sometimes as an old man, sometimes as a mangy dog, and sometimes he even takes the form of a coin dropped on the street. To ward off his evil spirit, people create lavishly carved lanterns with turnips and pumpkins and other vegetables, then put lights inside to remind Jack—if he should come their way—of his eternal punishment to roam the earth’s darkness forevermore. The grins glowing in the dark ward off Jack’s evil spirit and force him to flee in terror. You are not going to believe this…. I never heard of stingy Jack before, but there are plenty of references to him on the search engines. Maybe I was busy in the kitchen making tea. I’d heard a story before, but not that particular version with “stingy” Jack. 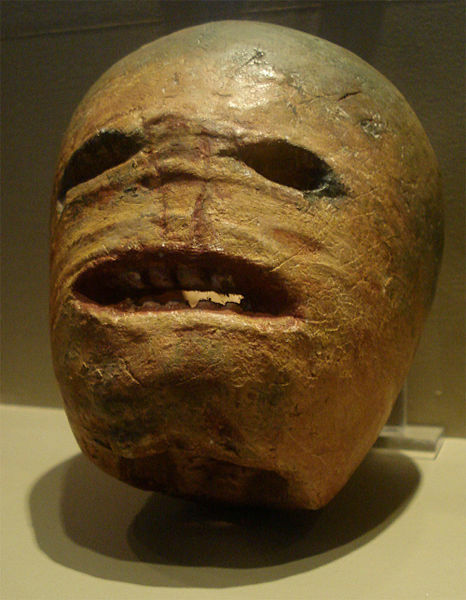 Reminded of it by our tour guide recently, who mentioned the turnip lantern, I decided to check further myself. There are many versions of course, so I decided to rewrite my own. Legends abound, especially in Ireland. We have our own version with Ichabod Crane of Sleepy Hollow. I think I like Stingy Jack better. Great story. I’d never heard it either. love the stories. Tell all about your impressions of the place and people too. Is it as green as they say? Have you seen any leprechauns? Love this story, thanks for creating it Alice! What a great story. Thank you.